Salary Cap Crunch: Do Cowboys Go With 2-time Pro Bowler Or Former RD1 Pick? The Dallas Cowboys, like every other team in the NFL have to abide by the salary cap rules whether they like it or not. Sometimes that means they have to make some tough decisions regarding their roster and 2017 should be no different. The Cowboys cap casualties have yet to be announced, but one player that might be feeling a little nervous about his time with America's Team is coming to an end is backup running back, Alfred Morris. The former Washington Redskin and two-time Pro Bowl running back was signed to a two-year, $3.5 million contract in 2016 by the Cowboys. Alfred Morris was expected to form a 1-2 punch with the former 2008 first-round draft pick, Darren McFadden. It probably seemed like a good idea at the time, but it was short-lived with the selection of Ezekiel Elliott in the 2016 NFL Draft. Elliott went on to have one of the best seasons for a rookie running back in the history of the NFL. 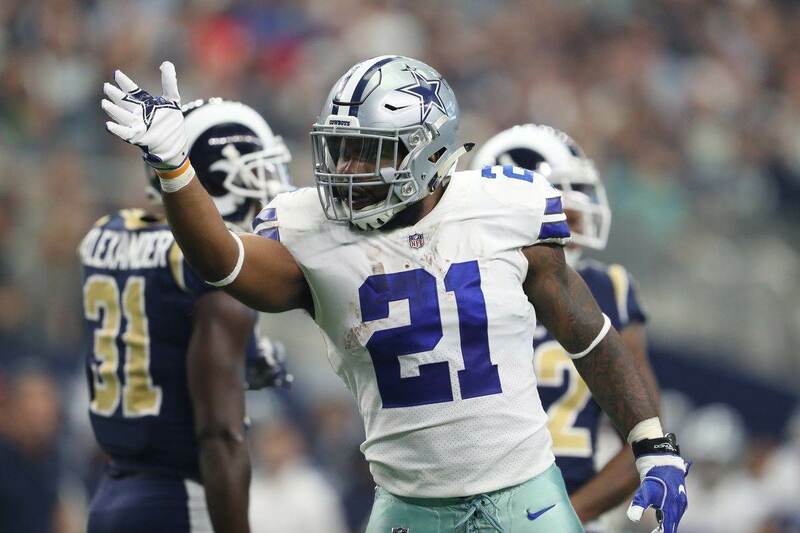 Morris was Elliott's backup for the majority of the season, but was made inactive once McFadden made his return from his elbow injury that wiped out the majority of his 2016 season. McFadden is now a free agent, while Morris is in the last year of his contract and could end up being one of the Cowboys cap casualties, saving them $1.6 million in 2017. That $1.6 million savings could be used to bring back Darren McFadden, who seems to be a favorite of the Cowboys coaching staff. Let's dive into this little bit deeper though to determine who might be the better fit. Alfred Morris is a two-time Pro Bowl player and has eclipsed the 1,000 yard mark three out of five years in his NFL career. He's not the biggest or fastest running back in the NFL, but he is a good fit to run in the zone blocking scheme that the Cowboys offense uses the majority of the time. Morris' willingness to remain patient in the running game allows the blocks in front of him to develop. When he sees a crease, he puts his foot in the ground and relies on his vision and low center of gravity to pick up his yardage. He's not going to break many long runs because of his lack of top end speed. Instead, he is more of the type of RB that will wear defenses down throughout the ballgame. Another plus about Alfred Morris is his ability to stay healthy. He has never missed a game in his NFL career because of injuries. Unfortunately, Morris really isn't a three down player. He's not a very good pass catcher out of the backfield and he also really struggles in pass protection. These are some of his biggest flaws as a player, especially with the Cowboys who like to utilize their RBs in the passing game. It's Alfred Morris' flaws as a player that could make him one of the Dallas Cowboys cap casualties. Darren McFadden is the more talented of the two players, which is why he was drafted so highly in the 2008 NFL Draft to begin with. McFadden has never been voted into the Pro Bowl and has only eclipsed the 1,000 yard mark twice in his NFL career. He is a downhill runner and that would probably be a better fit in a power blocking scheme. 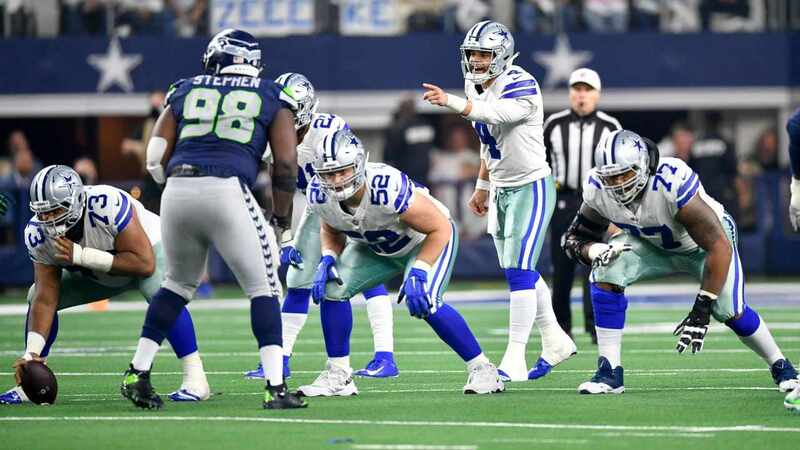 But, he has already proven that he can be effective running behind the Cowboys impressive offensive line. With the exception of Ezekiel Elliott, Darren McFadden is the most complete back the Cowboys have had the last few seasons. He is an underrated receiver out of the backfield and is excellent in pass protection. He may not have the breakaway speed that he once had earlier in his career, but he can still challenge defenses out on the edge. His biggest flaw is the fact that he has struggled to remain healthy during his nearly decade-long career in the NFL. This is a little bit worrisome because the Cowboys will need a RB that they don't have to worry about being available when needed. Despite what his size would suggest, McFadden isn't going to pick up a lot of those tough yards in short yardage situations. He doesn't run with a lot of power and tries to run away from defenders instead of delivering the blow. Which Player Has Most Continued Upside With The Cowboys? Generally when you compare players and analyze their future upside with their respective team, their age comes into play. Alfred Morris (28) is younger than Darren McFadden (29), but I believe McFadden still has more upside for the Dallas Cowboys. McFadden is a more complete running back that can stay on the field for all three downs. Plus, he has already proven that he can be the workhorse back for the Cowboys offense. You may have forgotten, but in 2015 he started 10 games for the Cowboys and finished fourth in the NFL with 1,089 rushing yards. We never really got a chance to see what Alfred Morris could do as the featured back for the Cowboys in 2016. But, given the small sample size we saw last year, he didn't inspire a lot of confidence that he could handle the job as well as McFadden did in 2015.
Who Survives The Cowboys Cap Casualties Game In 2017? 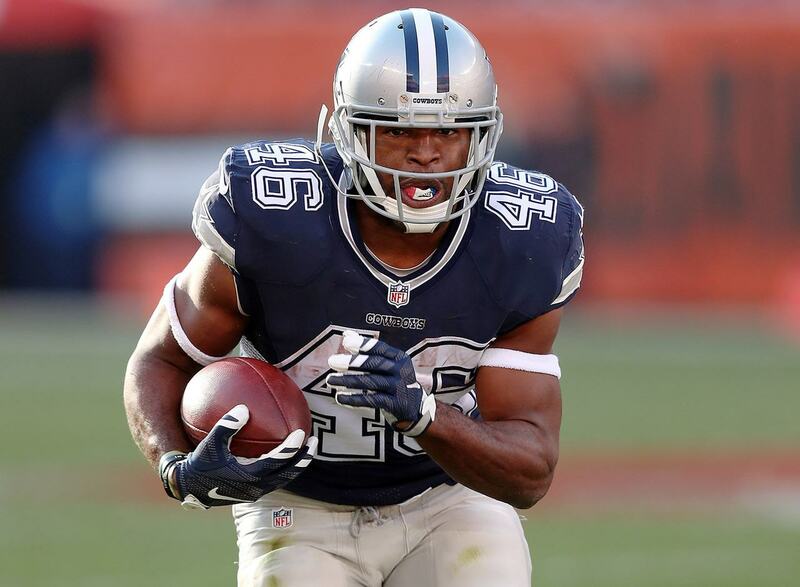 As things stand right now, the running back that survives the Cowboys cap casualties has to be Alfred Morris. He is still under contract for the upcoming 2017 season, while Darren McFadden will test his market value and contemplate his offers from other teams in free agency. Having said all of that, I believe the Dallas Cowboys would prefer to have Darren McFadden return over Alfred Morris. Once McFadden returned to the lineup last year, he pretty much made Morris an afterthought. The Cowboys coaching staff clearly values McFadden's ability to be a three down player and his veteran leadership. So, it wouldn't surprise me at all if he is the one they try and make a part of the 2017 plans if they had to decide between the two players. Verdict: Alfred Morris because he is under contract. Who do you think the Cowboys should go with, Alfred Morris or Darren McFadden? 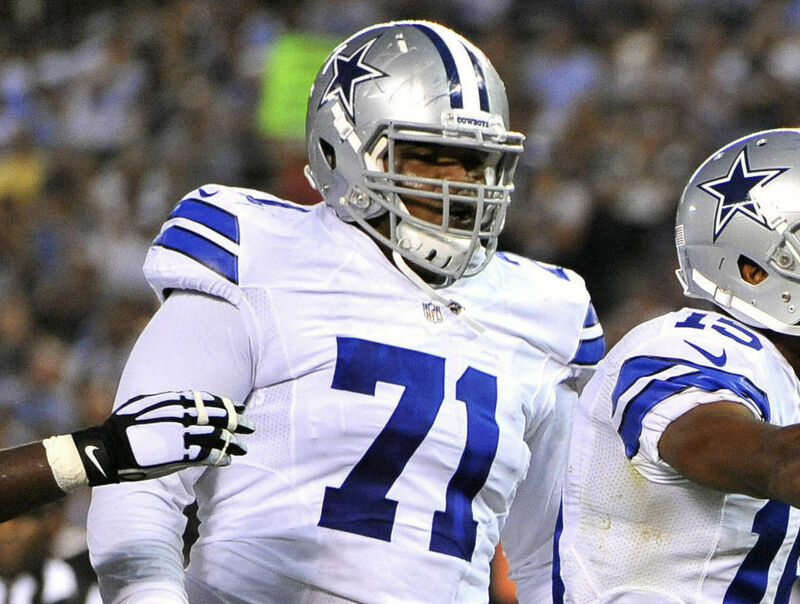 Looking For Revenge: Is OL La’el Collins Set For A Triumphant Return?